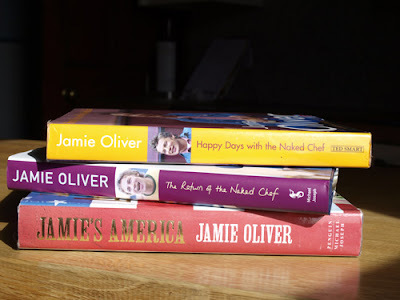 Farmersgirl Kitchen: Want to star in a Jamie Oliver TV show? LOVE the photo of you Janice and also your Christmas spread too! 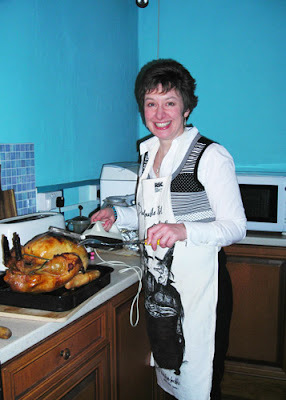 One BIG disaster was when our two cats "stole" the defrosting turkey and dragged it to their lair ~ we never found it until boxing day and had to have a late lunch of a small chicken from the freezer! You couldn't be happier in that picture! The show sounds good. We once made a Christmas pudding, half was steamed, other half microwaved. We had to throw the microwave out it got so burnt. The stench was indescribable. 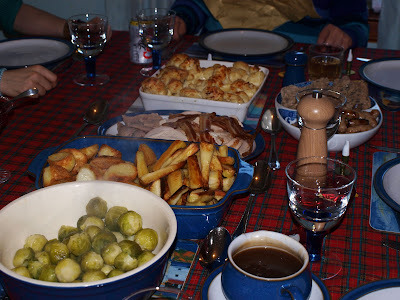 Look at that spread... for the first time this year I've just experienced a "xmassy" giddiness!